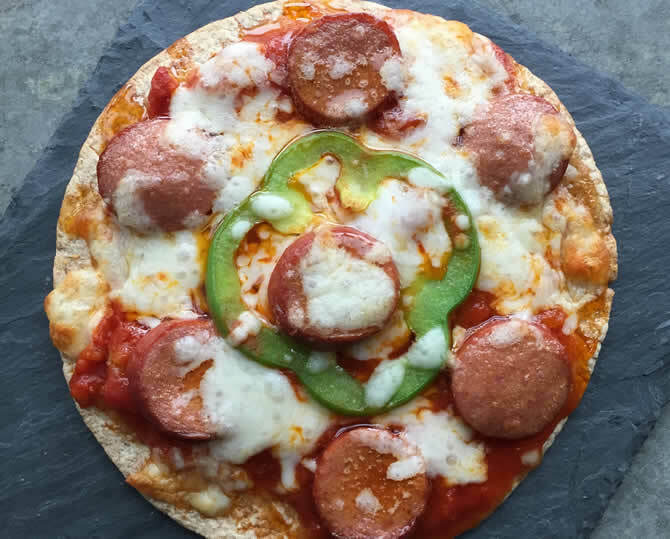 This yummy pizza hack makes a great kids snack for after school or anytime! Spray cookie sheet with non- stick spray and top with flatbreads. Bake 3 - 5 minutes. Remove from oven and spread each flatbread with tomato sauce, top with Hoffy hot dog slices, Green pepper slices, and cheese. Return to oven and bake 8 - 10 minutes or until cheese is melted and slightly browned. Cut into wedges if desired.